It is the policy of the University to remain open during the hours that best accommodate the students, faculty, staff, safety, security, maintenance and custodial operations of the University. The University recognizes that no single schedule of hours will accommodate the work requirements of all departments and that some flexibility is necessary for the operationalize efficiency of the university. To that end occasional exceptions will be granted for specific university activities when so approved by the appropriate Vice President and/or President. The University is closed to all but maintenance, custodial, safety and security staff on duty between 12:00 midnight and 6:30 a.m. All university buildings will be locked at 12:00 midnight, except for the library which is open on a pilot basis until 2:00 a.m. during part of the semester. After 12:00 midnight, students with appropriate Laurier One Card identification will be allowed to remain for study purposes in certain buildings as identified on a periodic basis by Security. The Dining Hall is open 24 hours a day for study purposes, as is the Concourse and the Fred Nichols Campus Centre. Building hours for the Kitchener campus are as follows: Monday to Thursday, 6:30 a.m. to 8:00 p.m. 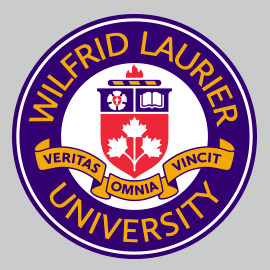 The campus is accessible with appropriate Laurier One Card identification until 9:30 p.m. at which time the building will be closed by Security. At 10:00 p.m. the building is closed to all but maintenance, custodial, safety and security staff, and authorized persons with an approved security code. Building hours on Friday are 6:30 a.m. to 6:00 p.m. The building is closed from 6:00 p.m. Friday until 6:30 a.m. Monday to all but maintenance, custodial, safety and security staff, and authorized persons with an approved security code. Building hours for the Brantford campus are as follows: Monday to Thursday, 7:00 a.m. to 10:00 p.m. and Fridays 7:00 a.m. to 5:00 p.m. for all classroom buildings; Journalism House is locked at 7:00 p.m. Monday to Thursday and 5:00 p.m. on Fridays; Wilkes House is locked at 12:00 midnight. Students have access to the Student Centre from 4:30 p.m. to midnight with their Laurier One Card identification. After 12:00 midnight, students with appropriate Laurier One Card identification will be allowed to remain for study purposes in the Student Centre. The work period for administrative staff is 35 hours per week, Monday through Friday. While the normal hours of work are 8:30 a.m. to 4:30 p.m. including a lunch period of one hour, it is the responsibility of each department to determine within the framework of this policy the hours most appropriate for its area. When flexible hours are approved by the appropriate Dean or Director, it must be arranged in such a way that continuous service is provided at least from 8:30 a.m. to 4:30 p.m. Any exception to this must be approved by the appropriate Dean, Assistant Vice President, or Vice President.